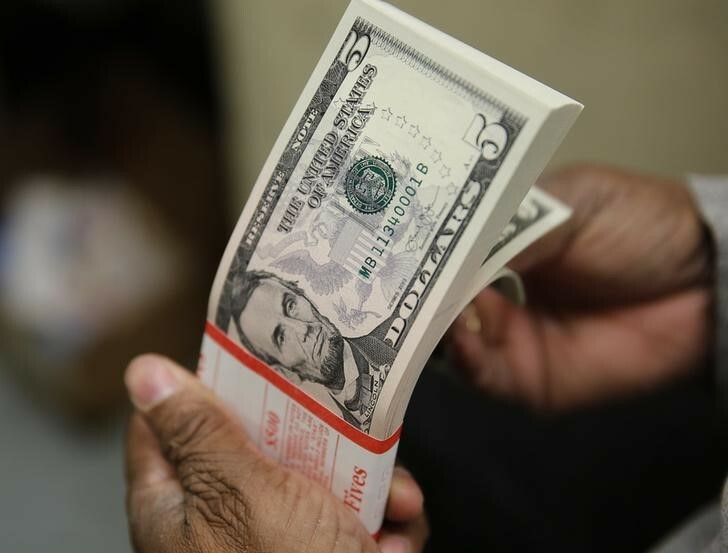 Investing.com – The greenback rose Friday after strong U.S. economic data eased worries of a slowdown even and underlined the diverging fortunes of the U.S. and Chinese economies at present. The Institute of Supply Management’s purchasing managers’ index rose surprisingly in January, confounding expectations of a slowdown. Earlier, the Labor Department’s monthly employment report showed that nonfarm payrolls rose by 304,000 in January, far above the consensus forecast of 165,000 jobs, even after allowing for a big upward revision to December’s jobs data. The numbers were released just two days after the Federal Reserve signaled a pause in rate hikes due to economic headwinds. The U.S. dollar index, which measures the greenback’s strength against a basket of six major currencies, was at 95.31 as of 10:43 AM ET (15:43 GMT). Earlier, the USD/CNY pair jumped 0.7% to 6.7448 after the Caixin/Markit Purchasing Managers Index showed Chinese manufacturing activity contracted at a faster rate in January. The Chinese yuan had risen 3.5% against the dollar since the start of December. The dollar was higher against the safe-haven yen, with USD/JPY increasing 0.5% to trade at 109.43. Elsewhere, the euro inched up, with EUR/USD rising 0.10% at 1.1456 despite a soft euro zone inflation report and weak manufacturing PMIs in Germany and Italy. The pound was down with GBP/USD falling 0.07% to 1.3089. The risk sensitive Australian and New Zealand dollars were lower, with AUD/USD falling 0.3% to 0.7252 and NZD/USD inching down 0.09% to 0.6907.